If you're seeking a fresh way to update your bathroom on a minimalist scale, then take a cue from this stunner by Halcyon House. Given its pared-back decor and simple color palette, it's still a space that looks nothing short of lively and interesting. Subway tiles on the wall provide sleek and clean cohesion, as gold hardware in various finishes adds a gleam of rich layers. And speaking of layers, a few subtle natural wood accents infuse the design with a comforting quality, and give its otherwise smooth dynamic hints of rustic texture. We'd be remiss if we didn't point out how much we enjoy the sizing in this room — like how the rectangular shapes of the mirror and vanity coordinate, or how the smaller sink hints at the roundness of the tray and sconces — but we'd like to give our full attention to that beautiful cobalt tile detailing on the floor. 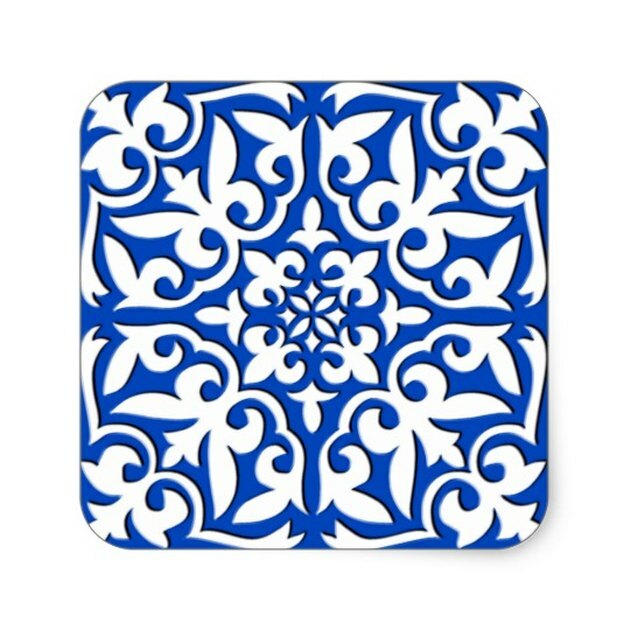 Honestly, what's not to love about blue tiling? The pattern drives this overall aesthetic, bringing with it an electric energy that eliminates the need for excess. Update your bathroom in one step with statement tile.